The harm done by racial mixtures I believe is much wider than the scope of this paper. Its importance as a factor in asthma, eczema and spasmophilia are beyond question to me. So wrapped up it seems are racial mixtures with the ailments of mankind, that I have almost reached the stage that I would dogmatically assert that "If you show me a family where the doctor is metaphorically always on the doorstep, I will show you a family of profound racial mixture." Frank N. Walker, M.B., "Sterility Among Hybrids," The Canadian Medical Association Journal, Volume 16, Number 6 (June 1926): 661-665. https://www.ncbi.nlm.nih.gov/pmc/articles/PMC1708963/pdf/canmedaj00465-0083.pdf. It seems the old adage, “Beauty is relative” is not true anymore, as what is beautiful for the Asians nowadays are those who have a mixed race—Asian and Western. Certainly, the new standard of beauty has changed over the years. Large, double-lidded eyes, small sharp nose, narrow face, tall figure, and white skin—these Western qualities make Asians sigh and admire. 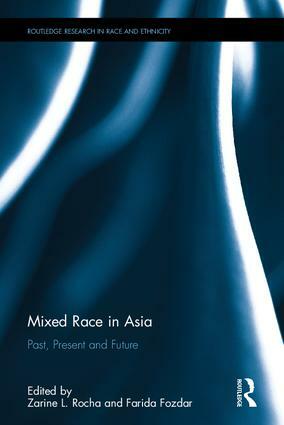 …The notion of “mixed races” in Asia was invented during the era of European imperialism from the early 1800s. The mix of Eastern and Western is referred to as Eurasian or Pan-Asian. As a matter of fact, these terms are relatively new, with no agreed-upon definition of either. According to Emma Teng, the T.T. and Wei Fong Chao Professor of Asian civilizations at the Massachusetts Institute of Technology, intermarriage and intermixing among ethnic groups date back to antiquity. Probably the most famous Eurasian author of the 20th century, one who served as a major interpreter of China to the West during the tumultuous Cold War era, Han was haunted by these words and driven throughout her life by a determination to prove them untrue, fighting the pronounced stigma and the obstacles faced by mixed-heritage individuals during her era. As she highlighted in this famous scene from her autobiographical A Mortal Flower (1965), such stigma was not only a product of social prejudice, but also heavily reinforced by scientific and pseudoscientific discourses of the time. Professor Emma Teng of MIT recently examined mixed-race identities in the U.S., China and Hong Kong as part of the Taiwan Studies Lecture Series of the Asia Institute. UCLA International Institute, May 25, 2016 — The most recent UCLA Taiwan Studies Lecture examined a wide range of ideas, laws and constructs that were instrumental in shaping mixed-race identities in the United States, China and Hong Kong. On May 10, 2016, Professor Emma Teng of the Massachusetts Institute of Technology delivered the presentation, “Traversing Boundaries: Bridging Asian and Asian American Studies through Critical Mixed Race.” The event was jointly sponsored by UCLA’s Asia Institute and Dean of Humanities, with funding from the Taipei Economic and Cultural Office in Los Angeles. The Center for Chinese Studies cosponsored the event. Professor Teng shared issues raised by critical and mixed race theory that are detailed in her recent book, “Eurasian: Mixed Identities in the United States, China and Hong Kong, 1842–1943” (University of California, 2013). The University of San Francisco Center for Asia Pacific Studies is pleased to announce the call for papers for “Negotiating Identities: Mixed-Race Individuals in China, Japan, and Korea” a conference to be held at the University of San Francisco on Thursday and Friday, April 14-15, 2016. With this conference, the Center plans to provide a forum for academic discussions and the sharing of the latest research on the history and life experiences of mixed-race individuals in China, Japan, and Korea. The conference is designed to promote greater understanding of the cross-cultural encounters that led to the creation of interracial families and encourage research that examines how mixed-race individuals living in East Asia have negotiated their identities. Scholars working on the contemporary period are also welcome to apply. All participants will be expected to provide a draft of their paper approximately 4 weeks before the conference to allow discussants adequate time to prepare their comments before the conference. Participants will be invited to submit their original research for consideration in the Center’s peer-reviewed journal, Asia Pacific Perspectives. Please share this call with any scholars that may be interested. This paper will examine the intersection of Sinophone Studies and Critical Mixed-Race Studies (CMRS) – two new and critical paradigms of inquiry – as productive forces in reshaping Chinese Studies beyond the old Area Studies model. My work analyzes the evolving discourses on mixed-race as well as the lived experiences of Eurasians in China, Hong Kong, and the US during the era between 1842 and 1943, and thus lies at the intersection of these two emergent and dynamic fields. Through my research on transnational Chinese-Western mixed families I aim to expand the horizons of Critical Mixed-Race Studies, which has been dominated by the study of black-white interracialism. I ask how a transpacific comparative approach might shift the theoretical frameworks for critical race and ethnic studies by challenging the presumed universality of US-centric models. At the same time, I aim to expand the horizons of “Chinese” studies, asking how mixed-race or transracial hybrid identities contest racially bounded, Han Chinese-centric definitions of Chineseness. Presented by the Center for Japanese Religions and Culture’s “Critical Mixed-Race Studies: A Transpacific Approach” Andrew W. Mellon Foundation John E. Sawyer Seminars Series at the University of Southern California. In the second half of the nineteenth century, global labor migration, trade, and overseas study brought China and the United States into close contact, leading to new cross-cultural encounters that brought mixed-race families into being. Yet the stories of these families remain largely unknown. How did interracial families negotiate their identities within these societies when mixed-race marriage was taboo and “Eurasian” often a derisive term? 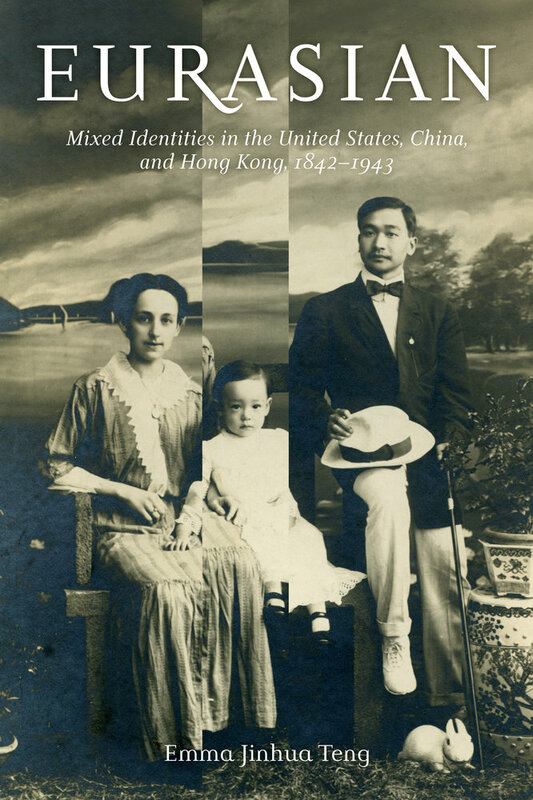 In Eurasian, Emma Jinhua Teng compares Chinese-Western mixed-race families in the United States, China, and Hong Kong, examining both the range of ideas that shaped the formation of Eurasian identities in these diverse contexts and the claims set forth by individual Eurasians concerning their own identities. Teng argues that Eurasians were not universally marginalized during this era, as is often asserted. Rather, Eurasians often found themselves facing contradictions between exclusionary and inclusive ideologies of race and nationality, and between overt racism and more subtle forms of prejudice that were counterbalanced by partial acceptance and privilege. By tracing the stories of mixed and transnational families during an earlier era of globalization, Eurasian also demonstrates to students, faculty, scholars, and researchers how changes in interracial ideology have allowed the descendants of some of these families to reclaim their dual heritage with pride. ACLS asked its fellows to describe their research: the knowledge it creates and how this knowledge benefits our understanding of the world. We are pleased to present this response from Emma J. Teng, T.T. and Wei Fong Chao Professor of Asian Civilizations at the Massachusetts Institute of Technology. In June 1914, a young American woman with a small baby boarded a ship bound for China. Although she was white, she traveled in accommodations meant “for Asiatic passengers only.” Why? Mae Watkins Franking, a native of Ann Arbor, Michigan, was traveling to China to reunite with her Chinese husband, whom she had met as a student at the University of Michigan. Due to the Marital Expatriation Act of 1907, which stripped U.S. citizenship from all American women who married foreign nationals, Mae had taken Chinese nationality, and thus, in an age of segregated travel, she journeyed to Shanghai under this status. Mae might have felt apprehensive moving to China, for although racial intermarriage was legal in Michigan at the time of the Frankings’ wedding, the Chinese government prohibited the intermarriage of overseas students with foreign women. (Merchants and laborers were allowed to intermarry.) The Frankings had three children: Nelson, born in the U.S., was an American citizen by right of birth; while Alason and Cecile, born in China, were considered by the U.S. government to be “aliens ineligible for naturalization.” Although the family returned to the United States in 1918, Alason and Cecile would have to wait until 1943 to gain the right of naturalization—despite the fact that their ancestors had fought in the American Revolution. These are just a few examples of the legal injustices faced by mixed (and in this case transnational) families up through the first half of the twentieth century.